Would you believe us if we told you that it only takes 3 minutes a day to keep your bathroom clean? You’ll need to start off with a clean slate, so scrub everything first until it shines. 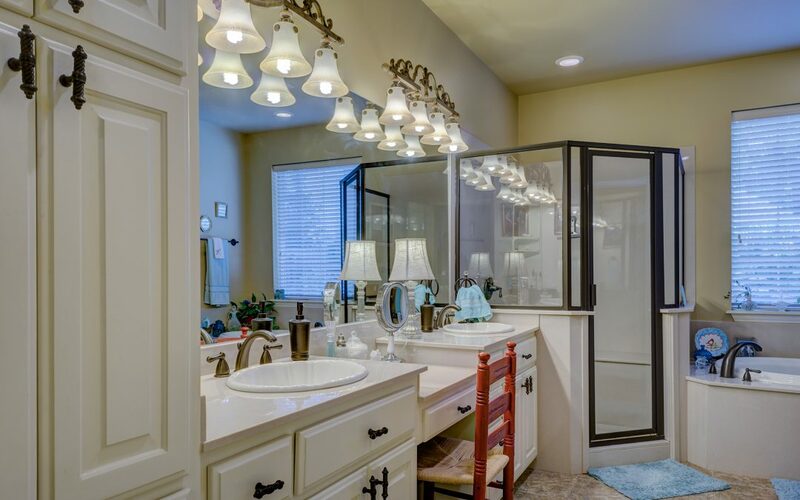 You may even decide that you want to hire a professional house cleaner to give you a head start because you’ll need a really intensive deep clean if your bathroom cleaning strategy is going to work— this one is all about maintenance. Set aside 3 minutes each day to clean your bathroom so you’ll be prepared if any surprise guests come over. Arrange your bathroom so that all the tools you’ll need for 3-minute maintenance are readily available. Buy some inexpensive washcloths that match the colors of your bathroom, roll them up, and leave them in a basket or in a drawer for cleaning up stains and spills. Have cleaning wipes with disinfectant properties as well as a shower cleaner, used dryer sheets, a sock, a squeegee, household vinegar, and a toilet brush. Put all of these things in a tub or basket so that you’ll always know where they are. Organize your bathroom so that everything has a place and return objects to their rightful homes as soon as you’re done with them. The key to keeping your shower clean is keeping it as dry as possible. Using a squeegee after each shower takes less than a minute and will help to cut down on mold, mildew, and grime. Once a week, take one of the washcloths and the shower cleaner and wipe down all the areas of your shower that are prone to getting dirty and that can’t be squeegeed, like the shower head and faucets. Once you’ve brushed your teeth or washed your hands, take a washcloth and clean up all of the wet areas on your sink and counter. If there are toothpaste or hairspray spots on your mirror, wipe them off with a wet portion of a washcloth, then use the dry area to soak up the leftover water. Use the toilet brush to scrub the waterline once or twice a week. Use a disinfecting cleaning wipe to clean up the toilet lid, base, and seat whenever needed. Used dryer sheets attract hair and dust, so instead of throwing them away, place some in your bathroom and use them to clean up your floors about once a week. Put a sock on your hand, dip it in a solution of vinegar and water, and dust your bathroom. If you start by taking only 3 minutes out of your day to clean your bathroom, you will begin to notice that it rarely gets messy and dirty. Advantage Inspection Services serves Central Pennsylvania with home and commercial inspections and testing services. To schedule your appointment, call (814) 742-8869 or use our online request an appointment form.